It seemed like a great idea. A group of 10 local artists, designers and makers getting together to open a gallery in an empty shop. Most of us hadn't met before, but we'd all studied at Bath Spa University or Bath City College and wanted to showcase our work. The local council were willing to rent a three roomed shop in a good location, just off the main shopping street. We could have it for three weeks. Why not? Two weeks ago, we unlocked the doors to our adventure. We were greeted by peeling walls, filthy windows, an old concrete floor and tatty red window frames. This was going to be our gallery? It took paint, lots of paint, and scrubbing and begging of display cabinets and making of bunting and painting of signs and drilling of holes. A little rough round the edges, maybe, but we opened just three days later. Our next big challenge was the marketing. Everyone worked their contact lists really hard to publicise our brief existence. I set up the usual Facebook, Twitter etc and I've written my first press release, thanks to wikiHow. Oh, and we had a proper wine-fuelled Private View where we all got to relax for a couple of hours. 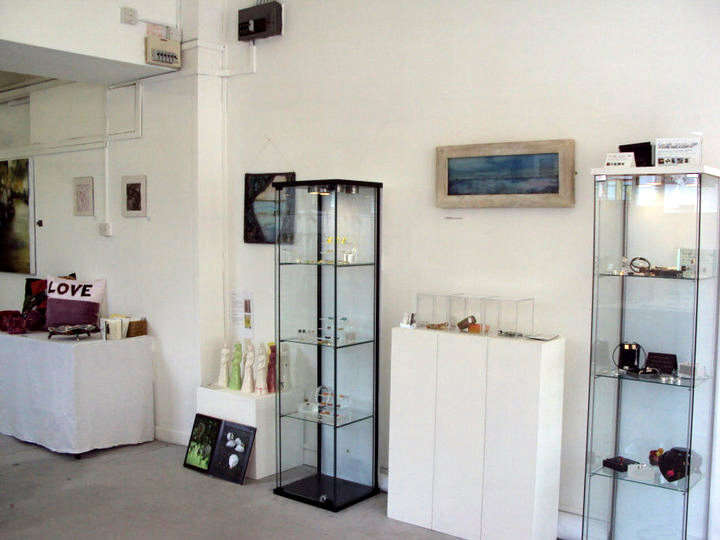 We've really had a wonderful, positive response to our Pop-up Shop. People want to support local artists, they want to see more of this kind of gallery. So, ring your local council, see what they've got, use those empty shops. Most of all, it's been fun to meet other artists, a few more have joined us along the way, worth all the work and I've learnt so much to take to the next adventure in pop-up land. 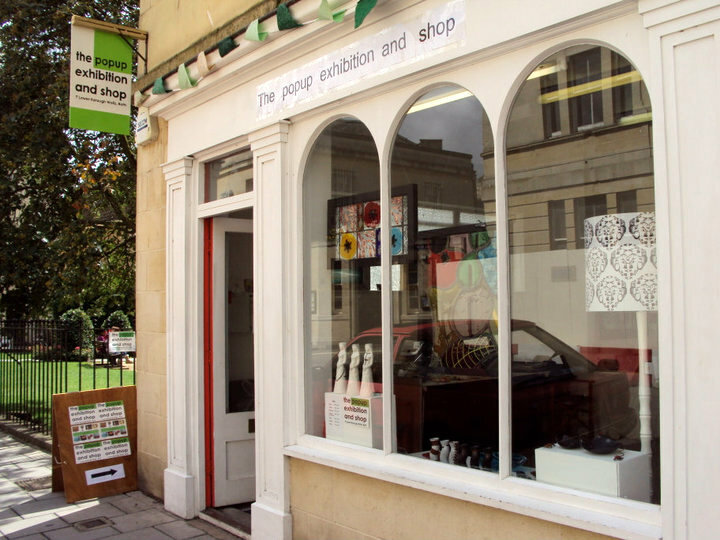 The Pop-up Shop, Bath - open August 15th to September 3rd. The Pop up Shop, Bath artists are-Su Trindle(Quercus Silver), Tina Seviour, Suzanne Owen. Lynne Radford, Aurora Pozniakow, Adele Christensen, Rebecca Shields, Anna Robson. I'm very impressed! It looks great. Shame you can't have it for a bit longer! Yes, I think it's going to be a charity shop. How wonderful, Su! You have done a beautiful work, the gallery looks lovely! Wish you all a great success! Nooooooooooooooo! 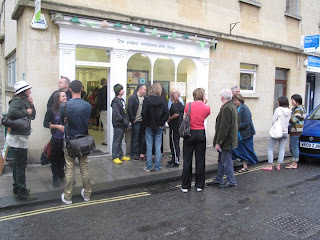 I was in Bath today (just down the road at one point in the Oxfam bookshop), but I've only just read this blog post. Am gutted - I would have loved to have popped along, but I don't think I'll be back in Bath before the 3rd :( Unless...hang on...I might be able to come over on the 3rd - will you be around if I do Su? We are fated to keep missing each other! I should be there, email me first, maybe. What a great idea! I've been wanting to do something similar here. I'm glad it has worked out for you.